Back in 2006, I couldn’t think of anyone who would want to travel with me for two weeks in Thailand. That’s why I decided to go alone. I love the freedom of doing whatever I want when I travel, seeing only the places I’m really interested in, eating where ever and whatever I want. It’s very different now. Travel blogging has led the way for me to meet like-minded people, who are game to go when I think of a trip to make. That also meant I get to tag along with their trips. That’s how this trip came to be. Upper has a cousin who’s coming to the Philippines, and is keen to explore the country. I knew I should be curbing my spending, but thanks to the anxiety that waiting for my Australian tourist visa application brought, I threw caution to the wind and booked a flight to Roxas. Their itinerary was for El Nido and Boracay, and though I really want to go back to El Nido, I know I can only take a week off from work. I settle for the Boracay leg, opting to fly via Roxas to get the chance to see more of the city, and buy seafood before flying back. We met up in Boracay last Saturday, joined by Carmz, Upper’s friend, and Ida, my mermaid friend who’s teaching swimming in the island. I love how we all easily get along with each other, including Upper’s cousin Sean. It was an easy camaraderie, and after just a couple of hours, we are all comfortable with each other. We have different personalities, but we jived. I’ve known Ida from Lakbay Norte in 2010, Upper from a Dispatch interview in 2011. Of all of us, I’m the most unadventurous, while Sean is game for everything, including eating isaw without batting an eyelash. Upper is very particular with the kind of experience and ambiance she want, Carmz is very knowledgeable and conscious about the local communities, and Ida is great at adapting wherever she finds herself living in the next couple of months. The whole travel experience is enhanced with the people you spend it with. Whether it’s with close friends, family, or strangers you meet on the way. They can make it into the best adventure you’ve ever had, or ruin a most anticipated vacation. If there’s one thing The Amazing Race has taught us, it’s that traveling enables you to discover each other’s hidden quirks, see how they react to stressful situations, and learn the importance of having the right partner. So many articles and blog posts have been written about how Boracay have deteriorated throughout the years. Yet, here I am again, back for the 10th time since my first visit in 2005. I’m not going to deny it, Boracay is always changing. There’s alway a new commercial space every time I visit, while the parties continue on. It’s loud and there’s plenty of people, but there are still places where you can get a quiet moment, away from the crowds if you’re willing to venture out to search for it. I have stayed in a private home in Bgy. Bulabog, a hotel in Diniwid beach, small guest houses in an alley off the main path in Station 2, a resort that insists they’re still in Station 2 but feels as if it’s already in Station 3 because it’s so far from everything, a posh hotel right smack in the center of white beach, and a resort in Station 1. I’ve eaten really at restaurants whose prices makes me wince but have really great food so I don’t mind as much, and I’ve eaten street food while walking up and down the beach. I really love how there’s a variety, always something for everybody. 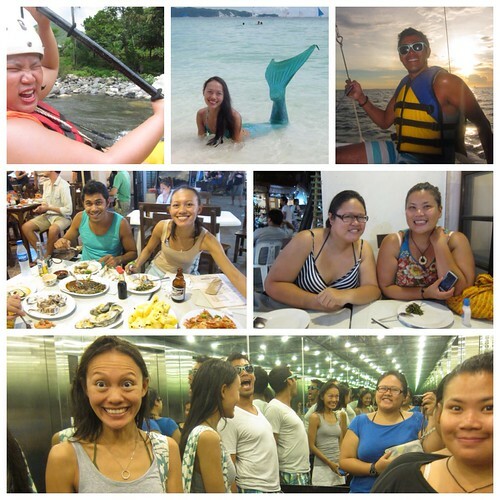 I think my first trip set the tone for my Boracay trips. 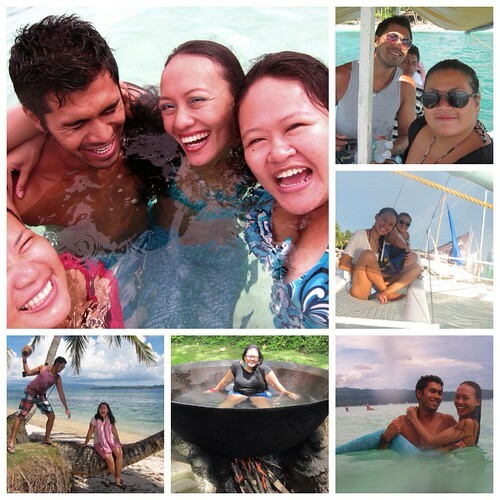 It was our first barkada trip, two weeks of hanging out at the beach, playing video games, partying or drinking at night. This trip is reminiscent of that, but with less partying and more Apple devices. There’s no pressure to do all sorts of activities every hour, and we hardly ever rush. This is a holiday, and the only thing we’re worried about is how to best enjoy it. For me, Boracay is not just about the gorgeous beach (and it really is gorgeous, not a lot can compare), but the memories you create with the people you spend your time with here. Whether it’s with the balikbayan brother and his family, your high school friends, the friends you meet in the island, the bartender who gave you the recipe for the best tasting cocktail you’ve ever tasted, or the creepy guy who turn up every where. Just curious though—what are some of the biggest changes you’ve seen there? Very interesting read, Nina! Boracay is, indeed, changing every year! This was my second trip to Boracay. While much has changed since my first visit it’s still one of my favorite beaches on earth. First off you have to go between the months of SEP and FEB if you want the pristine white beach and blue water. Starting around mid FED till mid AUG the beach gets covered with algae. Unfortunately we went in march and while the algae was not too bad and the water was still swimmable, really took away from the pristine water views I remembered. The vendors on the beach walk way are still the most aggressive I’ve ever encountered. Just smile and say no thank you (without looking at them) and keep walking. Whatever you do, don’t look at the wares or fliers in their hand or look them in their eyes. That will cause them to engage you and they will literally follow you for a block or two even if you say no.We stayed at the Boracay Regency which is still nice if you know what to expect. Check out my Boracay Regency review if you are considering it. The location is ideal right in the middle of station 2 and white beach. Everything was just a short 15 min walk away.Island hopping is a must. Crystal Cove and Puka Beach are nice. Snorkeling on Crocodile Island is nice but not the best snorkeling. There is plenty of water sports available. The sunset boat ride is exhilarating (not relaxing) and expect to get wet. There’s a Starbucks on the beach on the way to Willy’s rock.There’s plenty of shopping and palenke stalls to buy souvenirs.The nightlife is loud with clubs and reminds me of Bangla Rd Thailand. A bit too bustling for my taste.Overall its still very unique and beautiful but lost a lot of its quaintness that it used to have. If you want to see what boracay used to be like I would recommend Panglao which is smaller and quieter and less shops.